Guess what I made this weekend???? I had one Tuesday morning already and they are seriously epic. 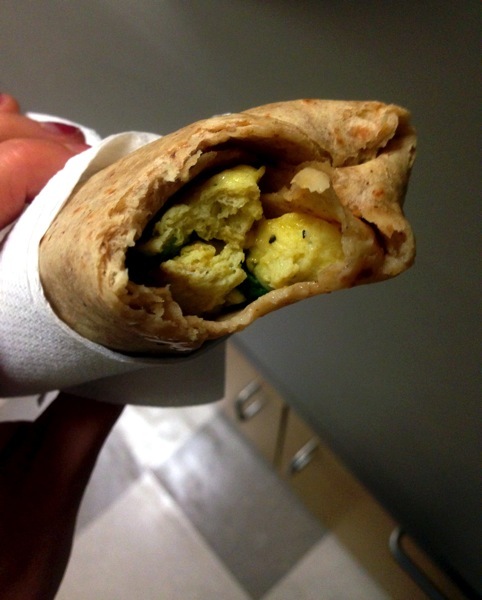 These burritos have all the necessary factors to power up your morning in no time. 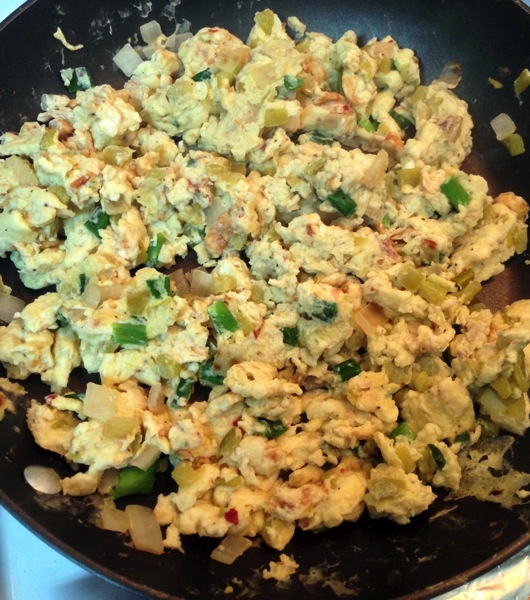 Green chiles, onions, cheese, and eggs wrapped in a healthy high protein low carb whole grain tortilla ready in 90 seconds, I think that could change lives. I usually bring my breakfast and lunch to work and I love how portable these are. I grab one out of the freezer and throw in my lunchbox before I leave for work. It’s ready in 90 seconds so I can down it before the morning gets to crazy, its pretty much the perfect healthy breakfast. 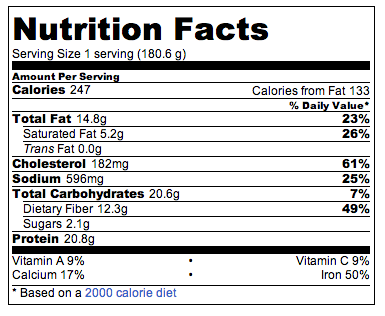 Except it doesn’t taste like healthy, it taste like a cheesy egg burrito so it feels indulgent. 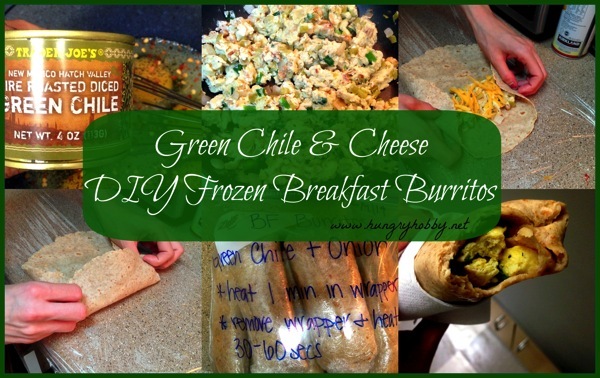 You’ve got to try and make a batch of these you’ll never go back to buying frozen burritos or go through the drive through ever again. Okay, maybe you will if you run out of them. Sauté ¼ chopped yellow onion in a pan with oil until translucent and tender (about 5 minutes). 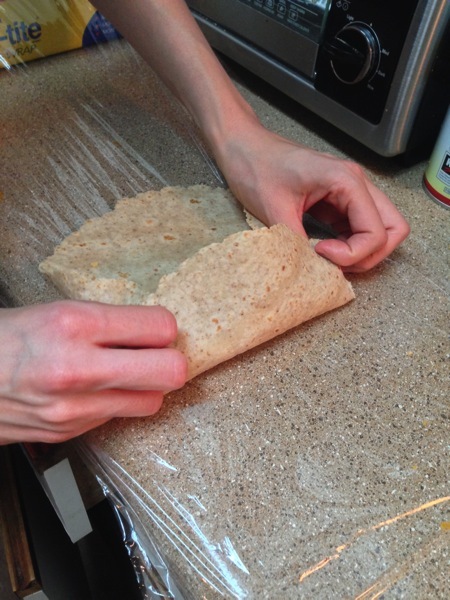 *Note- the whole wheat tortillas can be a bit tricky to work with. I originally thought they would be easier to work with warmed for a few seconds in the microwave, but they kept breaking. I found that keeping them in the fridge until just before you use them works best for rolling them into burritos. 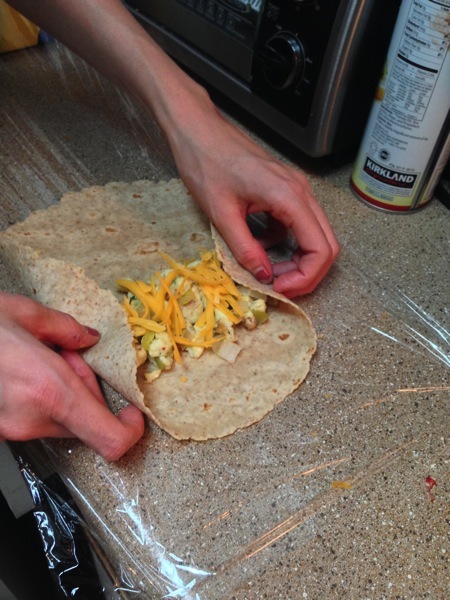 Roll each burrito several times in a microwave safe plastic wrap and close ends. Repeat steps 1-5 with the other half of the ingredients to make four more burritos. Store in freezer for up to 2 months. Place burrito in plastic wrap in microwave on high for 60 seconds. Remove wrapper and heat for an additional 30 to 60 seconds. I will probably get my results for my MRI by Friday. In the mean time I’m having some serious jealousness when Paul comes home and goes for a run. So last night I decided to step up my game a bit with my upper body routine. 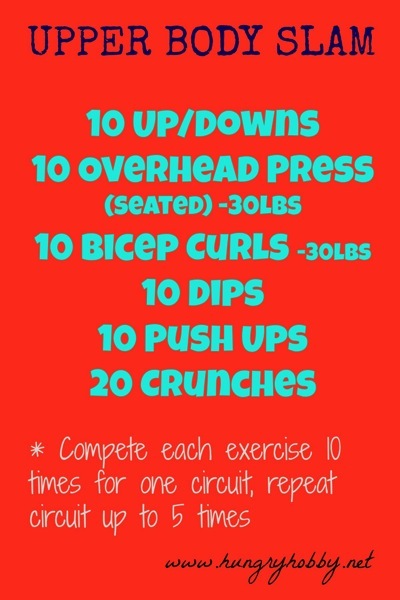 This one got my heart rate up and had my arms feeling like jello when I was done… success! What’s your favorite portable and healthy breakfast food? I’m always looking to try new ones! WOW! These look AMAZING! 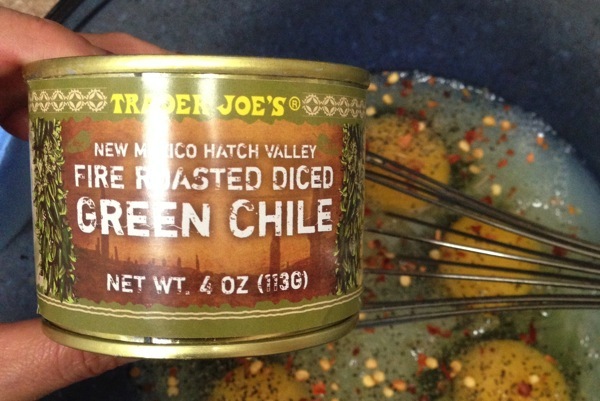 We will definitely be trying them! Thanks for the recipe! 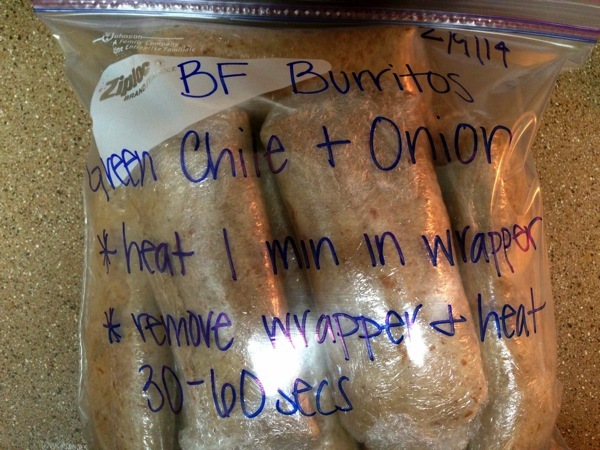 I hadn’t thought of making burritos ahead of time in order to freeze them. I would like to try that sometime! Do you let the eggs cool down before assembling the burritos?